The Institute of Medicine (IOM) sees a gap between the current state of healthcare in the US and healthcare as it should be, and they mean to close it. As a division of the National Academies of Sciences, Engineering, and Medicine, IOM seeks to help government agencies and private sector providers make informed, evidence-based health decisions. To that end, they crafted six aims – goals the IOM believes the healthcare industry must achieve for medicine in the US to reach its full potential. The Joint Commission identified doctor/patient communication as “a core component of health care” and lists differing languages, cultures, and levels of health literacy as barriers to quality and safety. And the Center for Medicare/Medicaid Services (CMS) found that misunderstood diagnoses, medications, and test results often cause patients to readmit unnecessarily. A great language services program overcomes these obstacles, ensuring that patients receive their diagnosis, treatment, and aftercare instructions in a language they can understand. The International Customer Management Institute (ICMI) found that adding language services in a customer service setting increases satisfaction for both customers and employees. 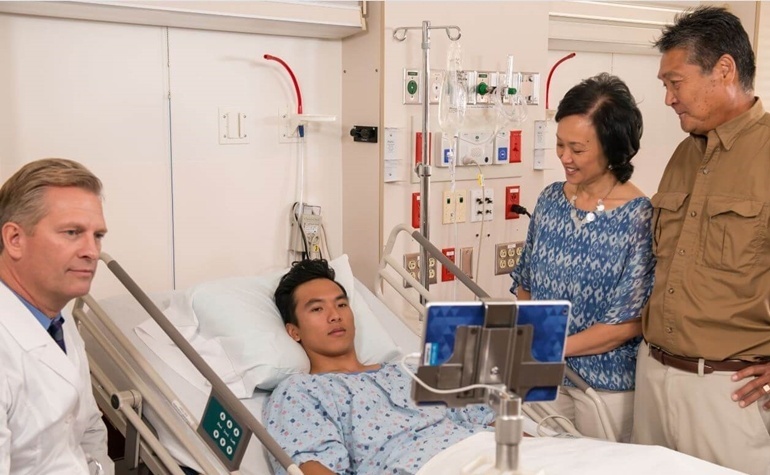 Medical providers may experience similar results; CMS’s patient experience survey for hospitals focuses heavily on communication, so scores from LEP patients depend on their understanding and being understood during care. Patients arrive at all hours speaking all manner of languages, so quick access to a phone or video interpreter 24/7 may boost the timeliness and efficiency of care. A quality language services provider will use workforce management to ensure interpreter availability when you need it. This, in turn, helps hospitals provide equitable care to an ever-increasing number of LEP patients; Pew Research expects the foreign-born American population to double – from 40 to 80 million people – by 2050. Shifting US demographics and changing priorities in healthcare put language services in a more strategic position than ever before. Hospitals that invest in welcoming this population today may benefit for decades to come and stand a better chance of achieving IOM’s six aims.